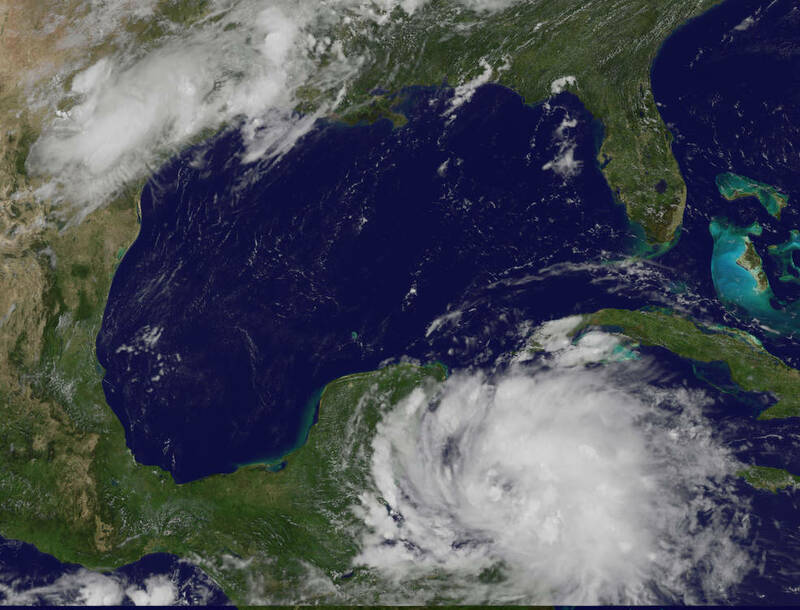 Tropical Storm Franklin has emerged back over the open waters of the southwestern Gulf of Mexico and is forecast to strengthen into the Atlantic's first hurricane of 2017 prior to making a second landfall in Mexico. Franklin formed over the western Caribbean Sea on Sunday and made its first landfall near Pulticub, Mexico, at approximately 11:45 p.m. EDT on Monday. Franklin had maximum-sustained winds of 60 mph as it slammed onshore along the east coast of Mexico's Yucatan Peninsula Monday night. Dangerous flash flooding will continue to threaten lives and property across the Yucatan Peninsula into Wednesday. Franklin will also impact Honduras and Nicaragua, Belize, southeastern Mexico and northern Guatemala with localized flooding downpours and the risk of mudslides according to Accu Weather.